This fabulous stylish shift dress is perfect for those summer months. The slight cocoon shape allows for easy movement and comfort. 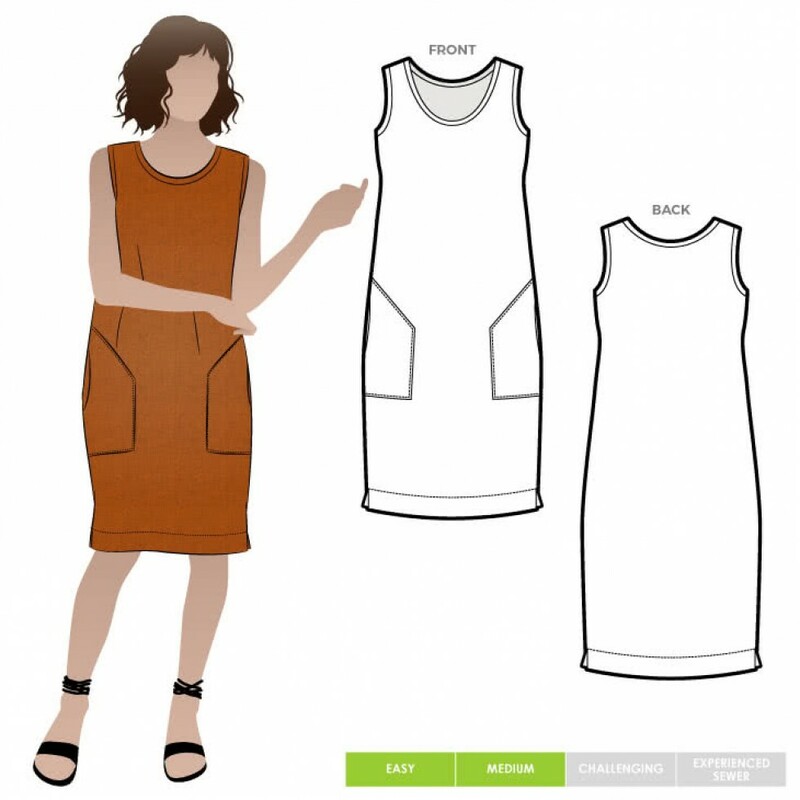 The neck and armholes are finished with narrow bias bands, so why not use a contrast colour or print to create your own personal look? The large angled pockets along with the wide hem and side spits complete this dress which will become a summer staple. These are multi sized nested patterns printed on 60gsm paper. There are two size ranges available for each pattern. Seam allowances are included. Please note, Style Arc sewing patterns come with limited instructions and assume some sewing and pattern knowledge.